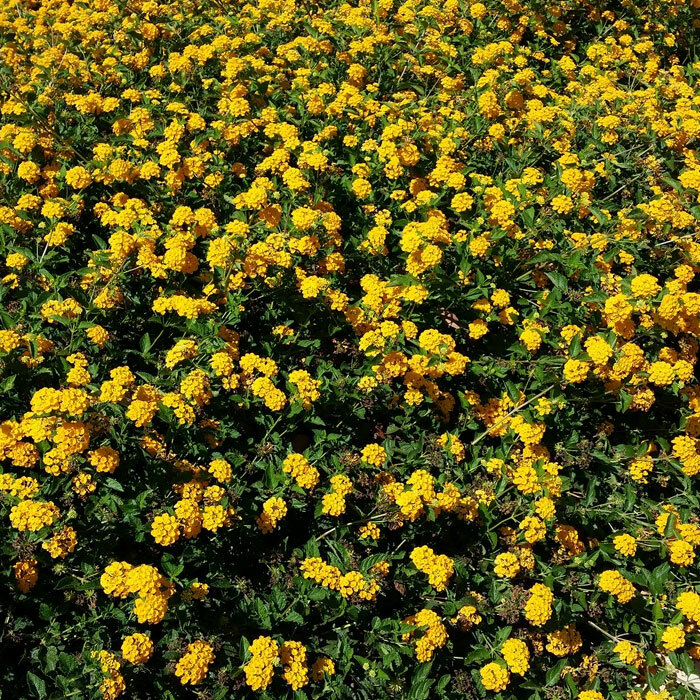 Notes: This lantana is covered in bright yellow flowers from spring to fall. It can spread but can be kept under control by trimming. Use as a ground cover or a show of color. Very butterfly friendly. Will freeze back in cold however usually recovers nicely in the spring.